Leeks are a member of the onion (allium) family, but unlike their pedestrian relatives, they have always held a more prominent position in history. They were cultivated in Europe and Central Asia (and both areas claim to be the leek’s original birthplace). 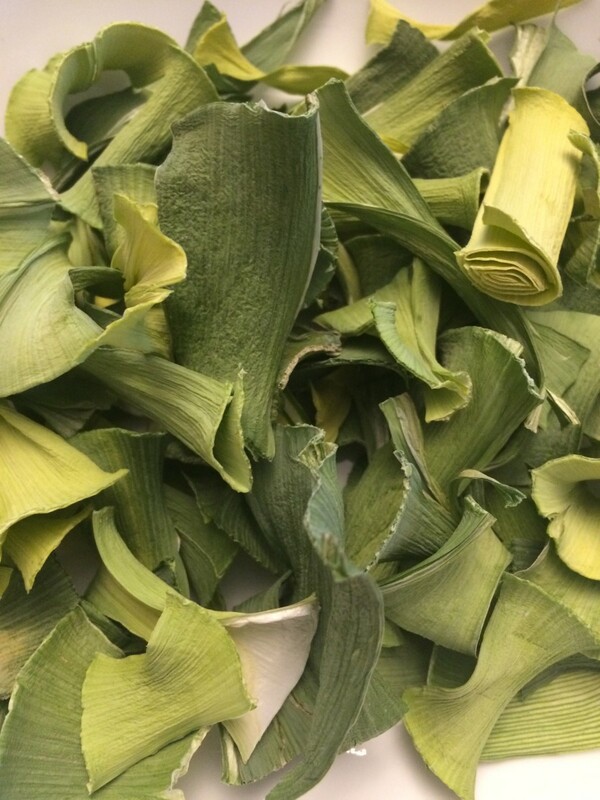 In the Bible, leeks are mentioned as one of the foodstuffs the Israelites longed for in their 40-year sojourn from Egypt to the Promised Land (and archaeological digs support their presence in the Egyptian diet). 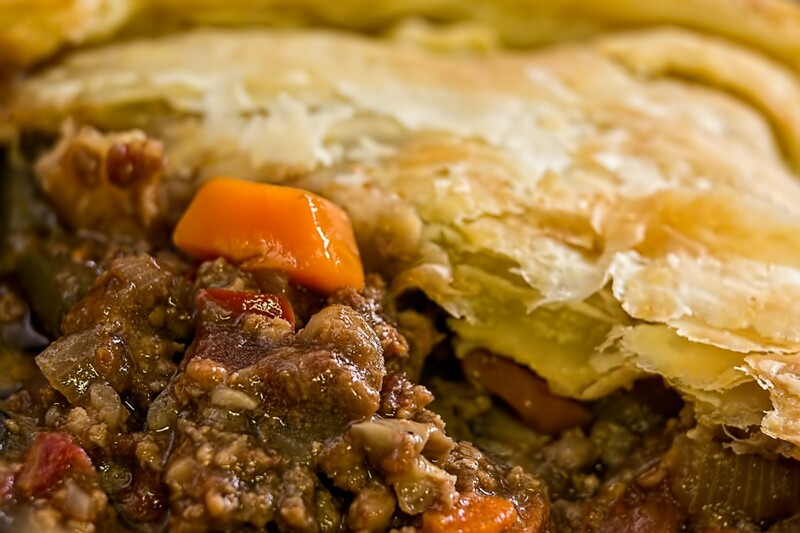 Nevertheless, as the Roman Empire spread, so did their gastronomic proclivities. Roman soldiers brought leeks with them in their conquest of what is now known as the United Kingdom. According to the source of verifiable knowledge known as Wikipedia, the leek saved Wales during the battle of Heathfield in 633 AD. No, Welsh soldiers did not wield spears and axes tipped with leeks. It wasn’t quite that dramatic. A Celtic monk named David persuaded the Welsh army to distinguish themselves from their Saxon enemies by wearing a leek on their helmets. The army of Wales won the battle and David the monk went on to become David the Saint. The Welsh still wear a leek on March 1, St. David’s Day (but they no longer don helmets). Leeks are easy to grow from seed. Sow seeds directly in the garden a month before the last frost date They need loose, well-drained soil and thrive happily in the same areas and conditions where one can grow onions. They usually reach maturity in time for an autumn harvest. Leeks can be bunched and harvested early when they are about the size of a finger or pencil, or they can be thinned and allowed to grow to a much larger mature size. Unlike other members of the onion family, the green part of the plant is inedible. One must cover the growing stem with soil (this is referred to as blanching) to encourage the development of a firm, sturdy white stalk, the prized part of the leek. ...you can freeze them. Lisa is an urban farmer in my little corner of the world. She grows amazing flowers and vegetables and shares her garden design ideas, successes and failures, and every day how-tos with us. When your Old Mother Hubbard's cupboard is bare, you can always depend on eggs. 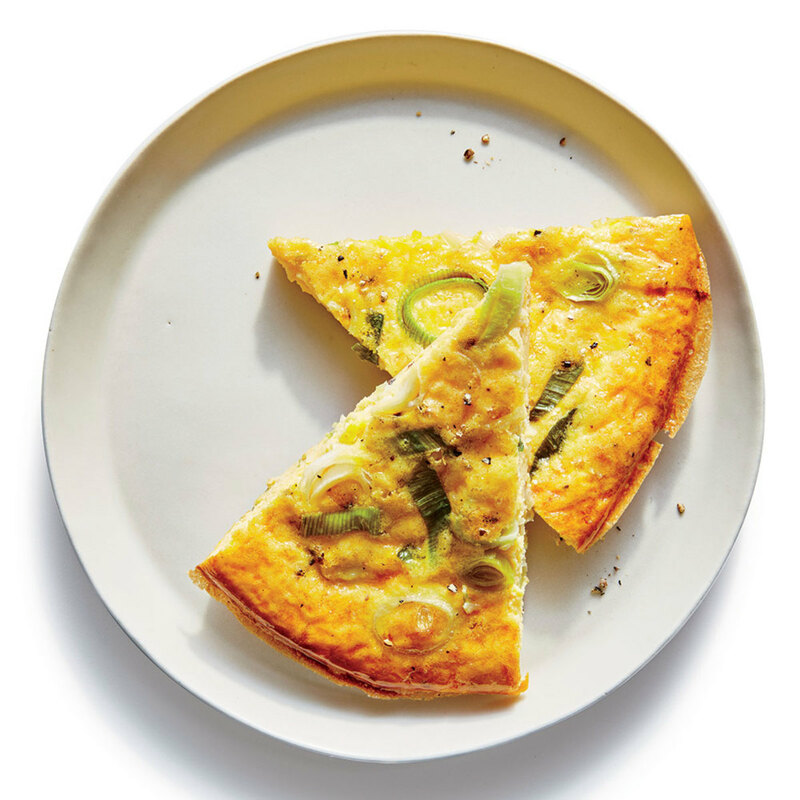 This leek frittata by Larraine Perri of Cooking Light magazine is elegant enough to serve at a brunch gathering, yet simple enough to make for a weeknight dinner or weekend breakfast. It’s easy and fast, cheap, balanced, gluten-free, and healthy. What more could you want? These baked eggs with spinach and leeks are an easy breakfast-for-2 in only one-half hour. They're vegetarian and paleo too. Thank you to Tasting Table for this great weekend brunch dish. These braised leeks have a subtle, mild onion flavor and are meltingly tender. 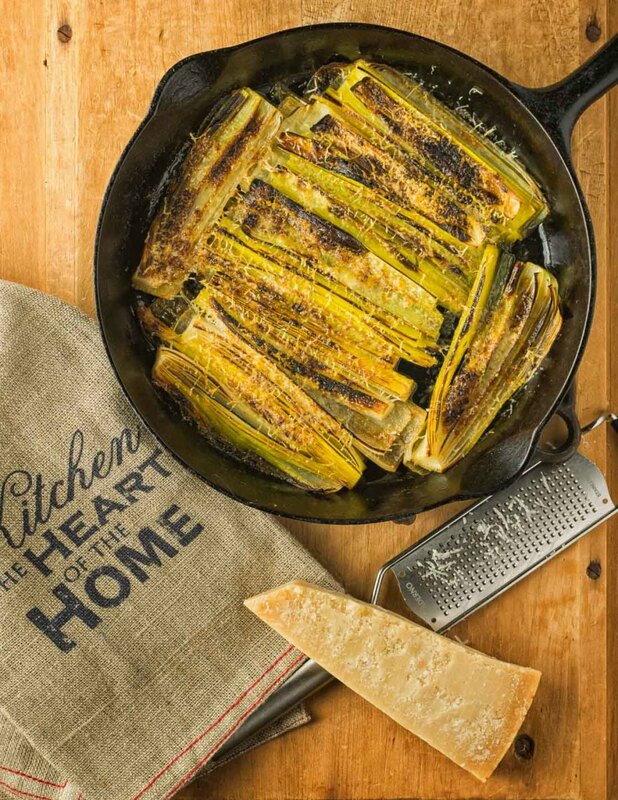 A grating of fresh Parmesan adds rich umami flavor. This would be a wonderful vegetarian lunch. Just add a side salad for a perfectly balanced meal. 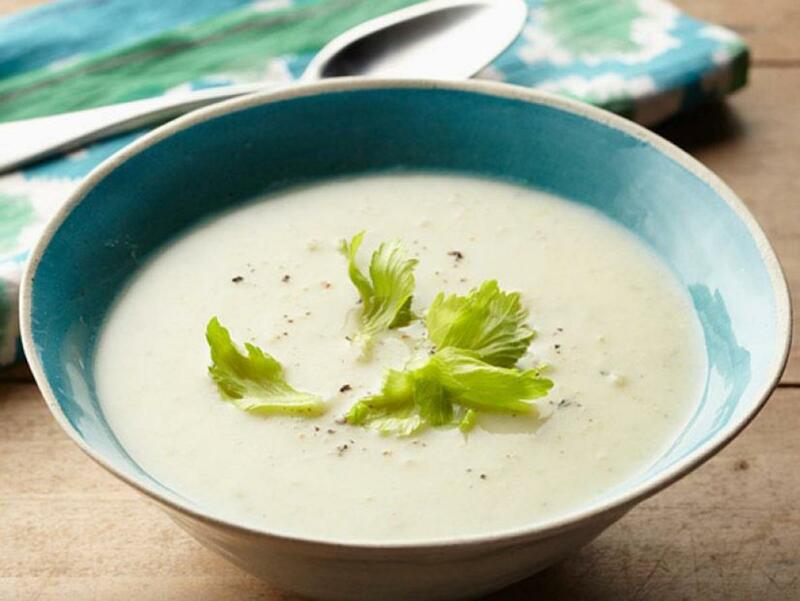 Robert Irvine (of Food Network fame) has created a luxuriously creamy, yet easy potato leek soup. This is a big batch and will easily feed eight. 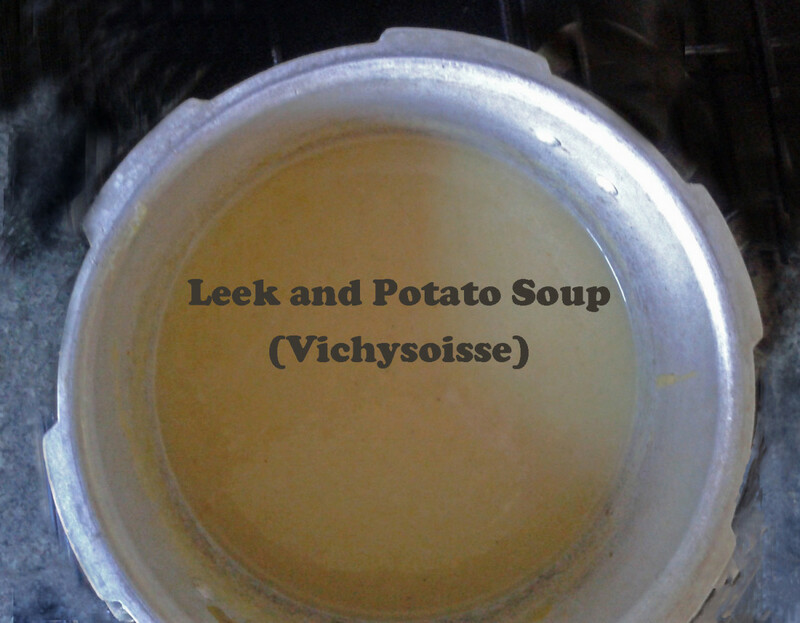 Robert uses chicken stock but you can substitute vegetable stock to make this a vegetarian meal. This mushroom and leek bread pudding, created by Ina Garten, is undeniably rich. I consider it a guilty pleasure, an indulgence, which I will allow myself to enjoy once or twice a year. If asked what I would want for my last meal, this would probably be a part of the menu. 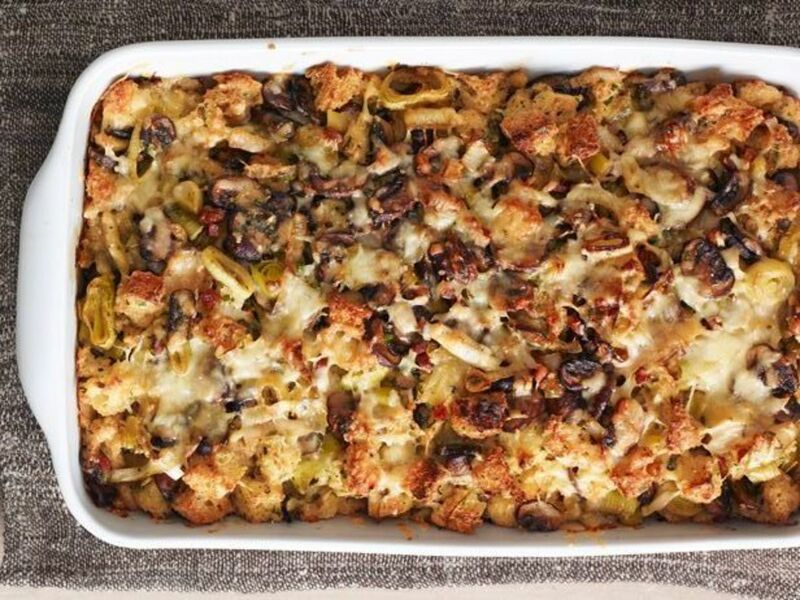 Mushrooms, pancetta, bread, and leeks mingle with heavy cream and Gruyere cheese to make a stuffing-like casserole with crispy bits on the top and edges and creamy rich melting yumminess in the middle. 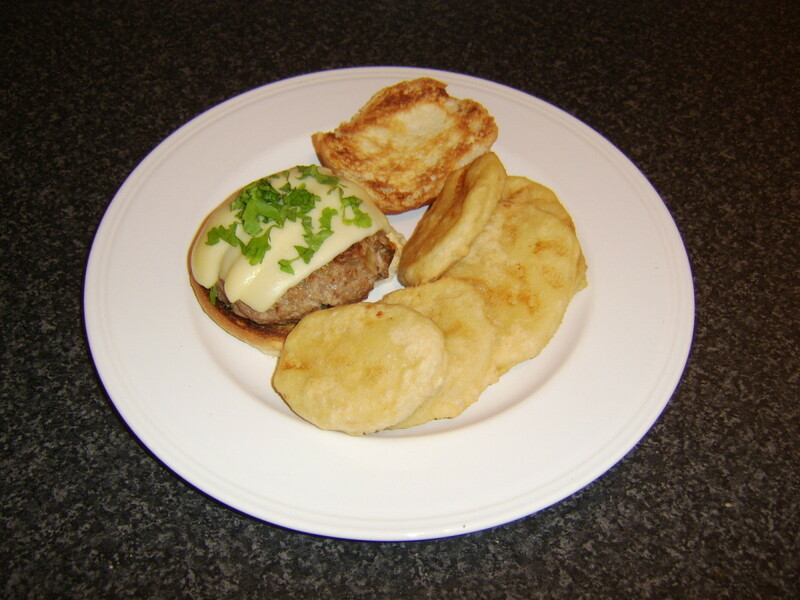 Heidi is the author/creator of the food blog FoodieCrush. Once a month she posts a recipe that features fresh local produce. 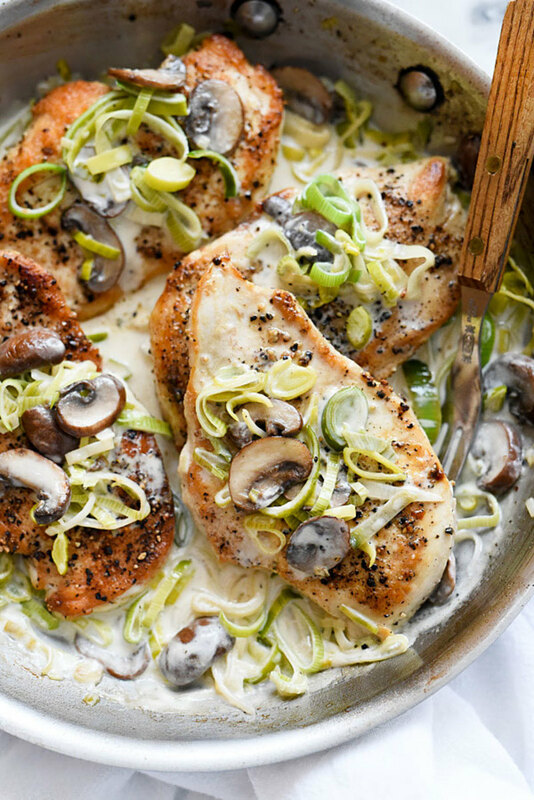 When leeks made a guest appearance in her kitchen and she showcased them in this 30-minute creamy mushroom and chicken breast dish. Traditionally, the Cajun dish dirty rice is made with white rice, chicken gizzards, and chicken liver. 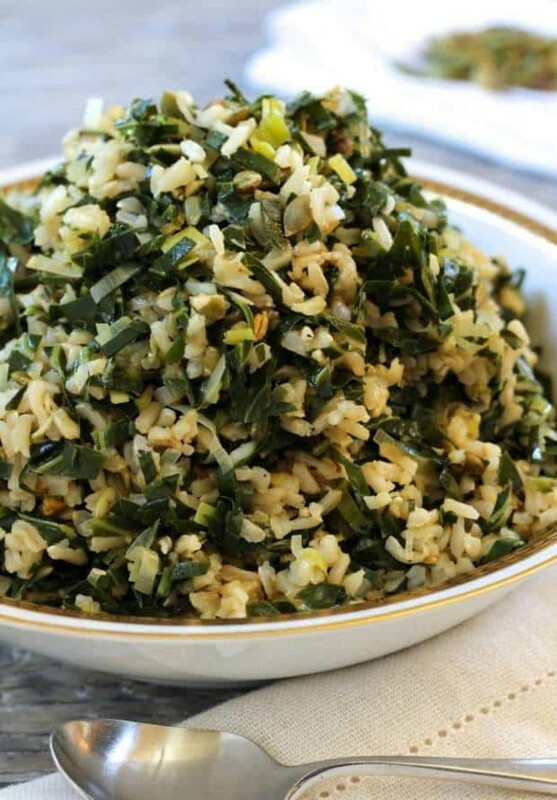 Letty of LettysKitchen has cleaned up dirty rice and made it gluten free, vegetarian, healthy, and absolutely satisfying and delicious with collard greens, brown rice, leeks, and umami-rich tamari sauce. 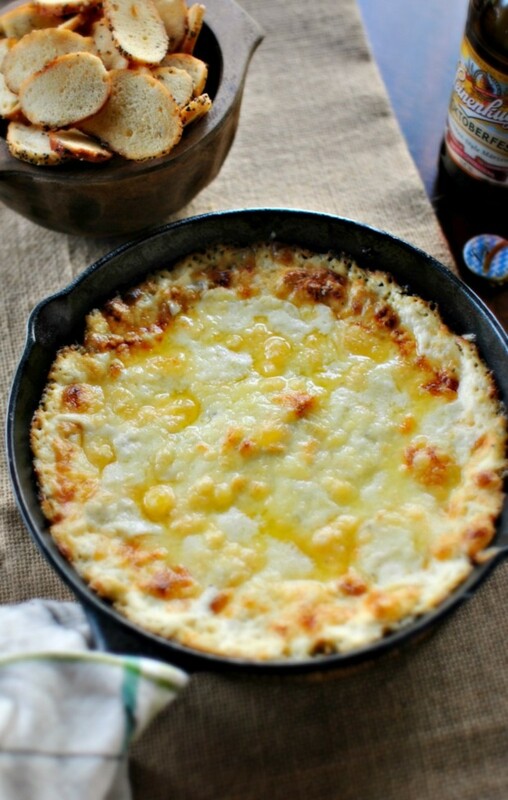 Who isn't a sucker for creamy cheesy baked dips? I love the traditional hot crab dip, and there's a parmesan-artichoke dip that beckons to me whenever I visit the deli section of my local Costco food warehouse. This baked white cheddar/leek dip is dangerously easy and will be making an appearance during Super Bowl Sunday at the Carb Diva house. Chanterelles have a very short growing period, making a brief appearance in mid-Autumn. 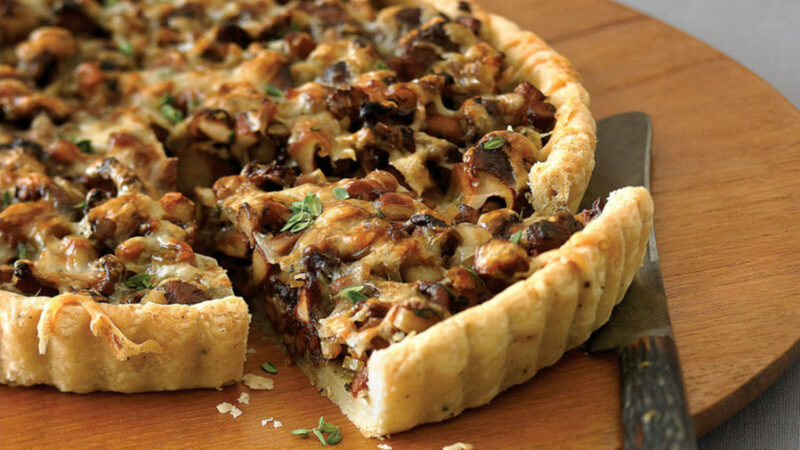 Although other mushrooms (shiitake, oyster, porcini) could be used in their place, do try to make this beautiful leek and chanterelle tart when the wild mushrooms are at their peak. What Can You Do With Leftover Leeks? Make Leek Chips! Another simple dish to make with leek is 5 scrambled eggs, with 2 cups of chopped leek and salt. It makes an excellent side dish. Hi Pamela, well I would have invited you, but I won't be home. We will be on the road, visiting "the happiest place on earth." 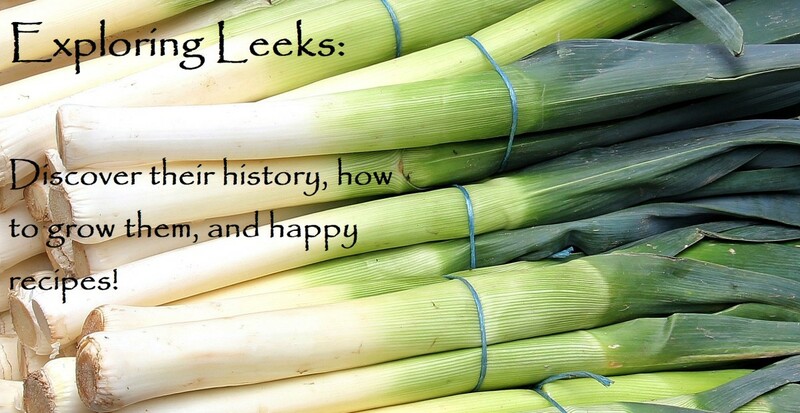 I was surprised by the beliefs associated the long history of leeks. The large variety of recipes using leeks looks good, and I do like leeks. I think being at Carb Diva's on Super Bowl Sunday would probably be very tasty. Eric, perhaps I should "explore" Bok Choy. We love it. Thanks for the inspiration. And, if you do happen to wear that leek, send me a photo. Wonderful article. Definately doable. It sure made me think about Bok Choy - I know a cabbage and not onion. I think I may wear a leek for St. Davids day. Oh yes, the Super Bowl. It's off my radar since my beloved Hawks didn't make it to the playoffs. Now, I'm waiting for spring baseball. Admittedly leeks do look rather strange so I can understand your reluctance. But if you like onions you'll love leeks. They are delicate and sweet and all but melt into a soft oozy yumminess. I had never had leeks before and assumed they were gross but then I had a potato and leek soup that seems similar to the one you have a recipe for. It was heaven so my mind was changed. I don’t know how to cook with them so I was interested in the tips throughout. I’ll be making that dip for the Super Bowl party I’m going to! Thanks! 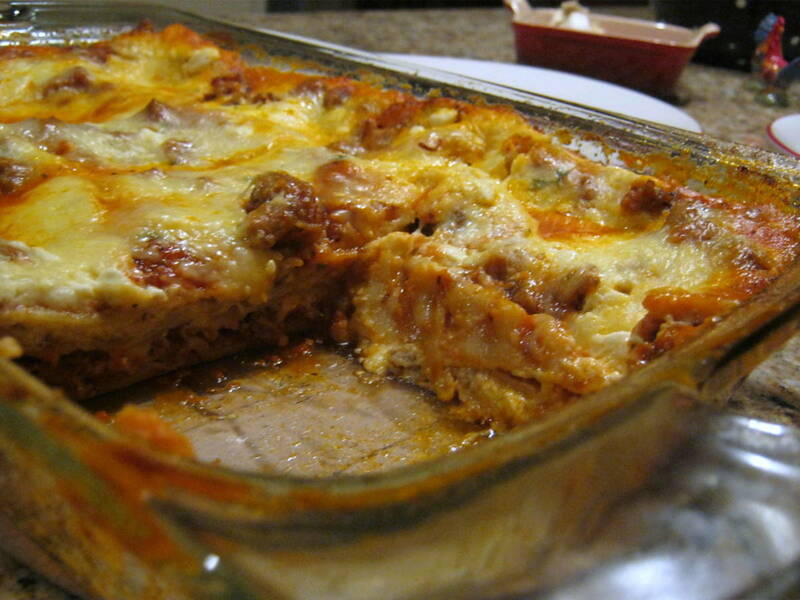 Mary, when I first started writing on Hub pages, it was just sharing recipes. Then on one, I shared a story and I found that I enjoyed doing so. It's grown from there. Now, I like the history and storytelling more than the food. Thank you for your kind words. I ate more leeks when I was in the UK, where it's readily available. I didn't know that about David and monk, interesting tidbit. I would be willing to try all of the recipes with them. I must say, after 40 years, I don't think leeks would have made my top 10 list of foods I longed for. I love that your articles are a mixture of recipes, food facts, and history. Shauna, leeks are very mild, yes a bit like scallions. Eggs always make me happy. I've made a mental note to pick up a leek or two to make the chicken. I'll let you know when dinner is ready. Linda, can you believe I've never had leeks? I suppose I should give them a try. The breakfast recipes look yummy (anything egg-y and spinach-y gets my mouth watering). Do they taste much different from scallions? I've printed off the Creamy Mushroom and Leeks Chicken Breasts recipe. Love 'shrooms, too! Bill, it's a good thing I was sitting down when I read your comment. Wow! Peggy, I'm determined to find a sunny (enough) spot in my garden so that I can grow some leeks. Like you, I want to make all of these recipes. Jack, that's how I roll. The dumplings sound wonderful (you've made me hungry). 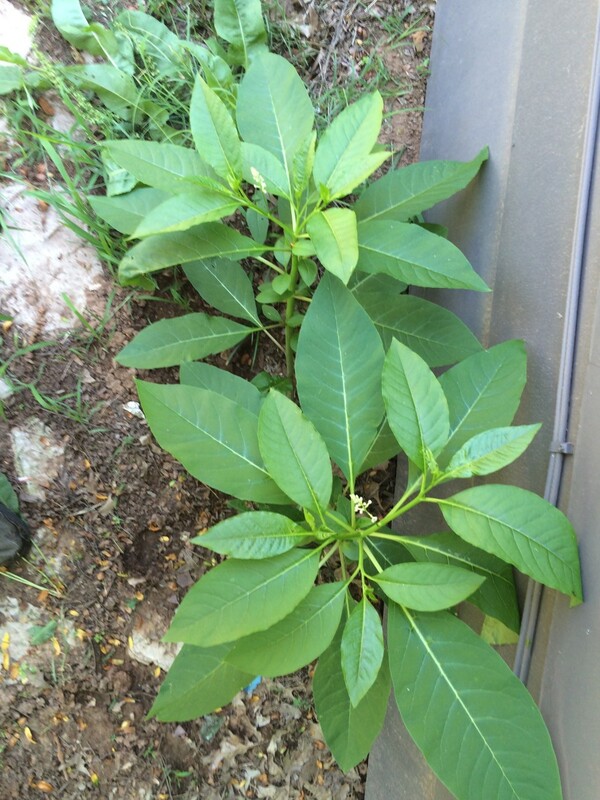 You are fortunate to have a place where you can grow your own. In my corner of the world they are quite pricey. We love cooking with leeks but I have never grown them. Thanks for the links to all of these delicious sounding recipes and some information about the history of leeks. I agree with you that I have never seen birds eating any type of onion-type plant. I also make Leek with scrambled eggs.